In his creation of life, God reused code in projects as varied as people and plantains. That’s not a lack of imagination as some ignorant people insist. It’s a love of elegance. Things that appear to be wildly different becoming quite similar when you look closer. God clearly loves a good pattern, and this character trait comes out all through Scripture. From a distance, Genesis, Leviticus, Psalms, Ezekiel, Matthew, and James all look very different, but when you put them under a microscope, segments of reused code–like DNA–begin to emerge. 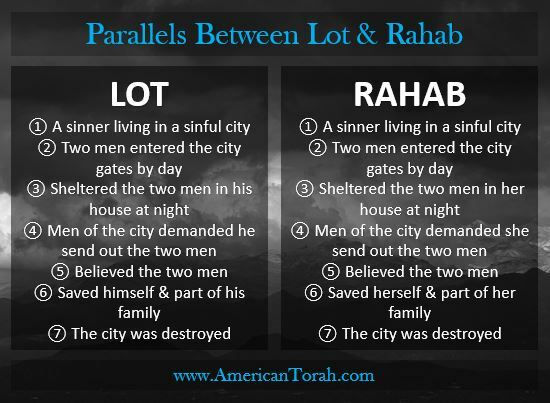 Consider the characters of Lot and Rahab. They are fairly minor characters in the Old Testament, but they are both discussed in the New Testament more than Josiah, Ezekiel, Esther, Samson, Ezra, or Nehemiah, all of whom are might seem to be more significant. When you look closely, they have a lot more in common with each other too. A sinner living in a sinful city, doomed to destruction. A sinner living in a sinful city, doomed to destruction. Two men entered the city gates by day. Two men entered the city gates by day. Sheltered the two visitors in his house at night. Sheltered the two visitors in her house at night. Men of the city demanded he surrender the two visitors. Men of the city demanded she surrender the two visitors. Believed the two visitors. Believed the two visitors. His home city was destroyed. Her home city was destroyed. Saved himself & part of his family. Saved herself & part of his family. That’s pretty amazing! It’s what Tony Robinson calls a “thematic connection,” and I don’t recall anyone every mentioning it in Sunday School. It’s very cool, it’s fascinating, but, having made the connection, is there any practical value to be had? A sinner living in a sinful city. Neither Lot nor Rahab were perfect people. In fact, they are remarkable for their glaring failures. Who else is a sinner living in a sinful city, doomed to destruction? You and me. 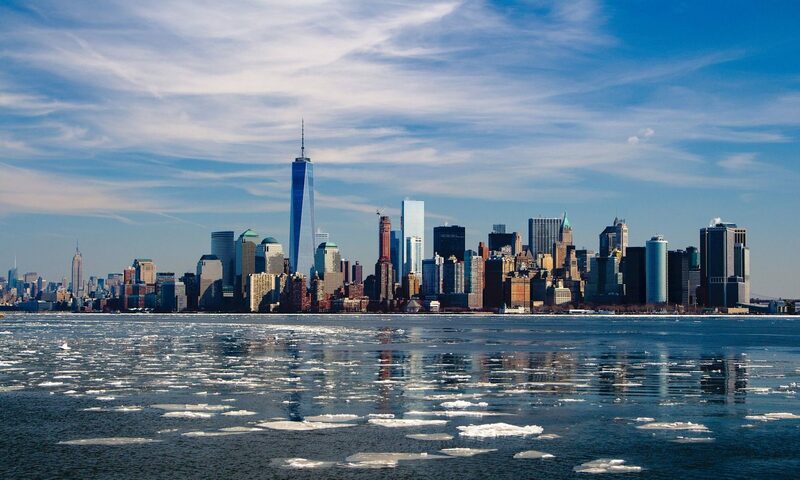 We’re all sinners (Romans 3:23), and all cities are doomed to eventual destruction. Whoever you are, wherever you live, you are a sinner living in the modern equivalent of Sodom, Jericho, and Nineveh. Two visitors sheltered, nourished, and believed. Unlike the ACLU and the court of public opinion, God never passes judgment without due process. He respects his own rules, and he provides both warnings of pending judgment and credible witnesses to all accusations. We have been warned by an unending stream of prophets and teachers from the very beginning, and there are several pairs of witnesses that testify of our sins. Just four of those pairs are (1) the Torah and the Spirit, (2) the Tanakh (the Old Testament) and the Apostles (the New Testament), Moses and Yeshua (Jesus) and (3) the written word and the living Word. Lot and Rahab took their two witnesses into their homes, sheltering and nourishing them. We need to do the same with the written word, as Moses instructed us (Deuteronomy 6) and as David exemplified (Psalm 119): read, listen, study, discuss… Hide God’s Law in your heart. We need to pray and commune with God regularly and consistently (1 Thessalonians 5:17). Worship, prayer, and emulation are like the food of God. He doesn’t want us to be always learning and never doing. He wants us to spend time with him, and he wants to see us living as Yeshua lived. In these ways we ensure that God’s witnesses will be in our favor at the end and will rescue us from the destruction that awaits those who refused them. The men of the city. We are assailed daily by attacks on our faith, on the reliability of the Scriptures, and on the reality and sufficiency of Yeshua. Schools, courts, friends, family, and employers under the sway of humanists and God-haters tell us that God’s Law is evil and that sin is virtue. The primary mission of our Enemy is to defile everything that is pure, and the more determined you are to hide God’s word in your heart and display it in your life, the more determined he will be to tear you down. Your only hope for salvation is in the forgiveness of the Father and the strengthening of the Holy Spirit. Salvation of self and family. Like Lot and Rahab, your faithfulness can help to save your family. You can’t force anyone to believe in Yeshua–remember Lot’s wife–but you can have enormous influence on them through your own faithfulness. As your character and your love increases, those who have a willing heart will be drawn to God through you. Noah, Joseph, Paul’s and Silas’ jailer, the faithful wife of 1 Corinthians 7… all these were able to save some or all of their families through extraordinary obedience to God. What really connects Lot and Rahab–and you and me–is their faith. God sent messengers to warn them of the destruction of their cities. Alone of the inhabitants in the city, they believed God, they acted on their belief, and their faith was counted to them as righteousness. They weren’t perfect; they were sinners like you and me. Lot fathered children with his daughters, and Rahab was a prostitute who betrayed her people. This too is a consistent pattern. David was an idolater, adulterer, and murderer, yet God loved him and called him faultless because of his faith and repentance from sin. We are Lot and Rahab and David, and if there’s hope for them, there’s hope for us too.